I've always found arguments against pitchers being MVPs lacking, because while they don't pitch every day their influence on the games they do pitch is huge. For instance, Phil Hughes started 32 games, threw 210 innings, and faced 855 batters. By comparison, Brian Dozier led the Twins with 707 plate appearances. Add in defensive plays and position players re-take the lead, but the point is that saying "pitchers only play once every five days" short-changes their influence. Hughes had the most strikeouts (186) and highest strikeout rate (8.0) by any Twins starter in the Gardenhire era except for Johan Santana and Francisco Liriano. Hughes walked zero batters in an MLB-leading 19 of 32 starts and walked one or fewer batters in an MLB-leading 30 of 32 starts, with a season-high of three walks in his second outing of the season on April 9. He led MLB in walk rate with 0.69 per nine innings, which is the second-best rate in Twins history. Wins Above Replacement for pitchers is calculated in two manners. One, by Fan Graphs, focuses on secondary numbers and has Hughes tied with Jon Lester and David Price for third-best in the league behind Corey Kluber and Felix Hernandez. The other, by Baseball-Reference, focuses on raw totals and has Hughes ninth-best in the league. That large disagreement stems from treating defensive support and luck differently, but either way Hughes had a fantastic year. If you're vehemently against pitchers being MVP candidates then Dozier is the obvious choice. His power vanished in the second half, but he still broke his own team record for homers by a second baseman with 23. He also added in 33 doubles, stole 21 bases at a decent clip, and drew 89 walks for the second-most by any Twins player during the Gardenhire era behind Joe Mauer with 90 in 2012. His poor .242 batting average doesn't even begin to show Dozier's offensive production. And he did all of that at an up-the-middle position where the MLB average was a .313 on-base percentage and .372 slugging percentage, beating the average OPS by 77 points. Dozier led all MLB second basemen in homers, walks, and runs. He also ranked second in extra-base hits and Isolated Power, third in times on base and Runs Created, fourth in on-base percentage, total bases, OPS, and steals, sixth in slugging percentage and RBIs, and seventh in doubles. After posting a .719 OPS in 131 games at Double-A last season and a .692 OPS in 24 games at Triple-A to begin this season Danny Santana was called up by the Twins on May 5 and batted .319/.353/.472 with 41 extra-base hits and 20 steals in 101 games as a 23-year-old playing a new position. In a lot of seasons that would have gotten Santana serious consideration for Rookie of the Year, but White Sox slugger Jose Abreu figures to win the award unanimously. Defensive metrics pegged Santana as below average in center field and he certainly looked raw there after spending nearly his entire career at shortstop, but he still had the fourth-highest WAR by a Twins rookie in the Gardenhire era behind Liriano in 2005, Lew Ford in 2004, and Span in 2008. If you prorate his WAR to, say, 155 games, Santana would rank 10th among AL position players and top Dozier for the team lead. There are strong reasons to be skeptical of Santana's rookie showing being for real, including his mediocre minor-league numbers and ghastly 98/19 K/BB ratio in the majors, but on a per-game basis he was arguably the Twins' best player this season. He places third on this ballot because he was not in the lineup for 38 percent of the Twins' games while Hughes never missed a start and Dozier sat out just six games. 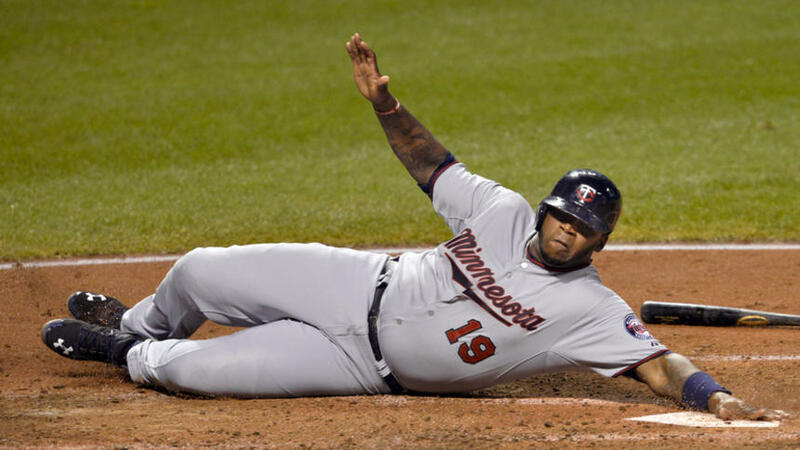 Coming into spring training it seemed like Trevor Plouffe would be keeping third base warm for however long it took Miguel Sano to convince the Twins he was ready, but instead Sano missed the entire season following elbow surgery and Plouffe had a career-year. He struck out a little less, walked a little more, and traded four-baggers for two-baggers on the way to 40 doubles. The end result was an adjusted OPS+ of 110, compared to his OPS+ of 97 from 2011-2013. His offense improved, but Plouffe's biggest gains came defensively. After three years of rating him horribly at third base both Ultimate Zone Rating and Defensive Runs Saved showed him as solidly above average. Who knows if the better glove is for real--it's not so much different than Santana hitting .319--but Plouffe was one of the 10 best all-around third basemen in baseball after just barely being better than replacement level in his first three seasons. Defensively his poor numbers are basically the opposite of his sterling reputation and predictably he came back down to earth late, but Kurt Suzuki started 115 games and hit .288/.345/.383 compared to MLB catchers as a whole batting .249/.309/.380. Not trading Suzuki and giving him a two-year extension is questionable, but he was a great pickup on a one-year, $3 million deal and kept the Twins above average at the position post-Mauer. If not for his late-season collapse while trying to pitch injured Glen Perkins would have ranked a spot or two higher. As of August 25 he had a 2.44 ERA and 64/9 K/BB ratio in 55 innings, but then he gave up five homers in eight games after giving up a total of seven homers in his previous 116 games. It's a self-inflicted shame, because Perkins was having a fourth straight dominant season while converting saves at the same rate as Mariano Rivera and Joe Nathan. Little in Eduardo Escobar's track record suggested he was more than a utility man-caliber hitter, but when Pedro Florimon flopped he stepped in at shortstop and batted .275 with 43 extra-base hits in 133 games for a .721 OPS that's 43 points above average for the position. Defensive stats failed to reach a consensus, but he looked decent and if you think his glove was actually a plus Escobar had the best all-around season by a Twins shortstop since Jason Bartlett in 2006. 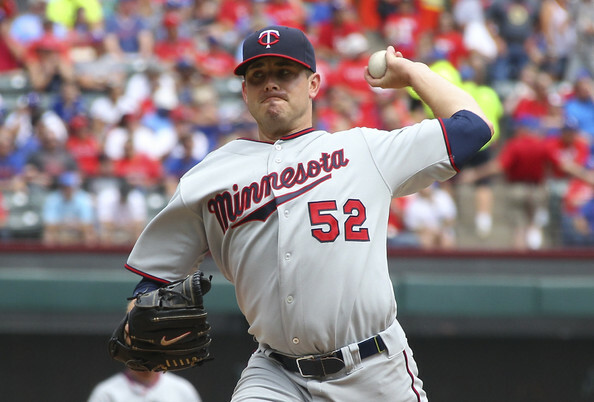 After a putrid rookie showing Kyle Gibson bounced back to throw 179 innings. He managed just 5.4 strikeouts per nine innings and the awful defense turned all those balls in play into too many undeserved hits, leaving Gibson with a 4.47 ERA compared to the AL average of 3.92 for starters. However, his ground-ball rate of 54.4 percent ranked fifth among AL starters and he allowed just 12 homers in 31 starts. If given average defensive support xFIP pegs his ERA at 3.99. After missing the end of last year with a concussion Mauer got off to a terrible start and then, just when he was starting to get rolling, an oblique strain sidelined him for a month. There's no way to spin his season as anything but a major disappointment, but Mauer hit .300 in his final 63 games and overall his .361 on-base percentage was 30 points above average for first basemen. Even with his extreme lack of power Mauer was basically an average all-around player at his new position. Promoted from Double-A on August 1 after the Kendrys Morales salary dump, Kennys Vargas hit .337 with a .906 OPS in his first 23 games and .225 with a .665 OPS in his last 30 games. He was good but not great overall, with a .274 average and .456 slugging percentage versus a 63/12 K/BB ratio and .316 OBP. He also played only 53 games, compared to 101 for Santana and 120 for Mauer. He was very fun to watch and dropped a lot of jaws with his smooth, easy power. For a lengthy discussion of the Twins' ongoing manager search, check out this week's "Gleeman and The Geek" episode with special guest Mike Berardino of the St. Paul Pioneer Press.